THE ROMANY LIFE: BIG TRIP 2015! We Launch! Every year we go on a month long trek in our truck camper. We look forward to this all year and this year is no different. As we usually do, we left late last evening after work and got out of town. 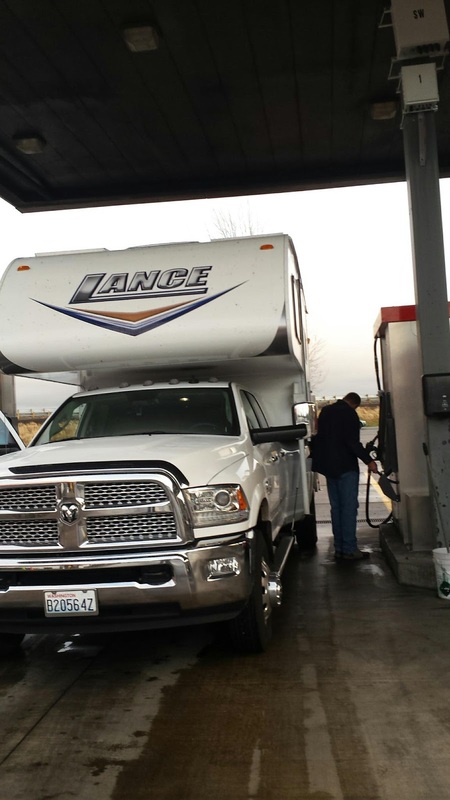 We dry camped in a Camping World parking lot and are up and out early this morning with a quick stop at a Travel America for some def fluid! Let the fun begin!